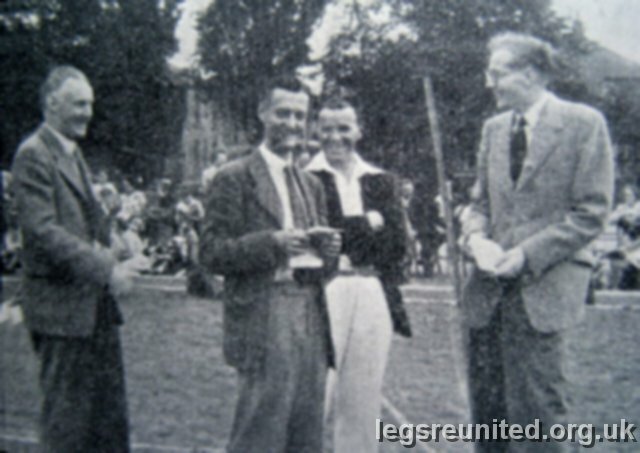 Group Photo, left to right: S. Robinson (Physics),Phil Wright (French), Harold Morton (Sport),Geoff Prime (French). Assumed 1950? Photo off newsprint taken by John Panton.